I tend to spend all my coding time nowadays plagued with guilt. I try to be a good developer and refactor the code, after running the tests, after writing the code, after running the tests, after writing the tests. But in the interests of getting any code written at all, I end up skipping between one and all of these steps (generally not the writing code part). If this sounds like you, I cannot recommend Fixie strongly enough. It's a low ceremony test framework that presents the minimum possible barrier to entry for the guilt driven tester/developer. Fixie is so nice for a few reasons. Firstly it's self contained. 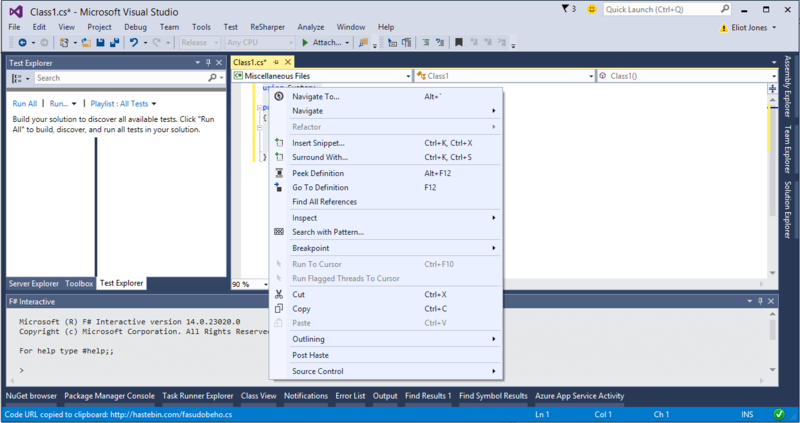 After installing from NuGet, the Visual Studio test runner for Fixie is already set up. This means you don't have to locate the correct package for your Visual Studio version. If you're lazy like me then you'll appreciate this time-saver. Or search "fixie" on the NuGet package manager. The next point in its favour is your tests are just code. While MSTest and to some extent NUnit are an alphabetti spaghetti of attributes which challenge you to remember the difference between your [TestFixture] and [TestClass] attributes, Fixie requires no attributes to start working.